Located in the Niagara Peninsula of Southern Ontario, The Niagara Rapids Canine Athletes are a group of talented dogs and hard working owners, committed to enjoying and competing with their four legged companions. Furry members of the team are cherished family members. 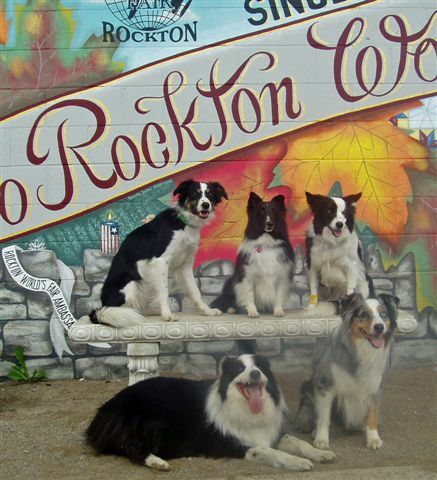 They compete in all disciplines of canine sports including flyball, agility, tracking, herding, and obedience. Some of the human members are breeders and trainers with many years experience, others are pet owners learning some of these activities for the first time. Canine sporting events and The Niagara Rapids Canine Athletes can be enjoyed by individuals with all levels of experience and all breeds. For current NAFA Statistics on the Team and Members Check out the NAFA Database for The Niagara Rapids, NAFA Team #273.